Let’s look at Defense Minister Serdyukov’s two most recent media interactions, starting with his interview Sunday on Rossiya TV’s ‘News of the Week’ program. If anyone finds the video for this, please send it in. As it is, we have just the wire service snippets. Better than nothing. Much of this you will have heard before, but there will be things of interest, so don’t stop reading. On the army’s winter preparations, Serdyukov said the Defense Ministry has studied the ‘serious emergencies’ [so there were more than just Steppe] in military garrisons last winter, and taken necessary measures to prepare the army for this winter. He says the army is 98-99 percent ready, so he concludes this winter will go very quietly. This is, of course, quite a contrast with what Minregion and Basargin have reported, as well as with Severomorsk’s predicament. There hasn’t been any press release announcing that the Severomorsk garrison’s utilities debt has been cleared, or that the heat’s been turned on yet. The Navy had been preparing to move several hundred people from buildings belonging to eight different units without heat. Serdyukov mentioned again Russia’s desire for two large amphibious carriers from abroad, and confirmed that two more would be built in Russian shipyards using the full technical documentation transferred along with the first two units. 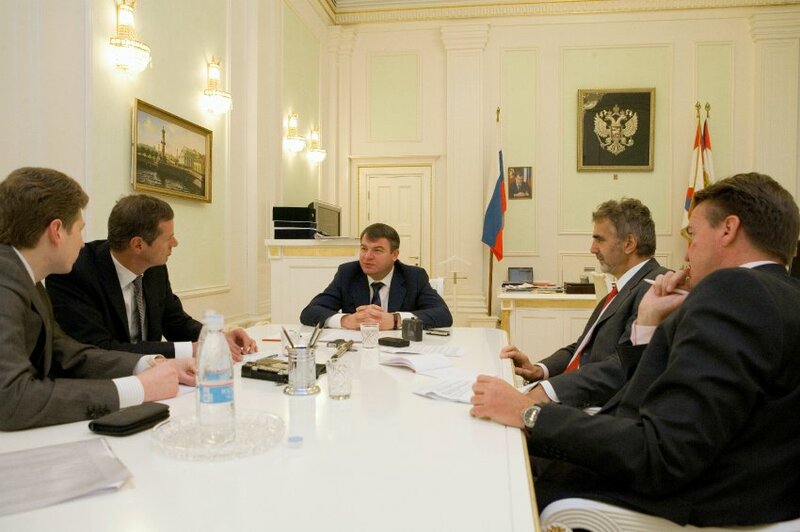 It looks like Serdyukov is giving more wiggle room on rearmament. Most reports to date have quoted Defense Ministry representatives saying 70-100 percent new arms by 2020. Well, perhaps ITAR-TASS heard it wrong. For this writer’s money, even 30 percent in 2015 looks like a longshot. Also, not really much to say about those military social issues – and this presumably would be the main focus now since task one’s pretty much done and task three’s a long-term deal. Even the pretty much completed task one is interesting. Many press and media outlets seized on this one to finally understand, more precisely, the composition of the armed forces. So Serdyukov says they’re down to 150,000 officers already. And with a thinner layer of sergeants, that leaves between 730,000 and 750,000 conscripts at any given time. But drafting 270,000 semiannually would leave Moscow short by roughly 200,000 conscripts. Better round up those evaders. And with all the varying comments, it’s very hard to say if Russia’s at one million men (150,000 officers) yet or not. Quite a stark admission he might not make to a Russian magazine. Perhaps he’s willing to be a little more painfully blunt with a Western publication. On buying abroad, Serdyukov told Spiegel that Russia can produce everything it needs, but some things are simpler, cheaper, and quicker to get from foreign producers. He confessed that Russian industry has fallen behind the last 20 years. Serdyukov goes on to discuss the million-man army, the imbalance in officers and grunts, eliminating corruption, Rosoboronpostavka, and cutting administrative layers. Again, are they at 150,000 officers or not? No one’s clear on this. And one would think, with all Serdyukov’s efforts, serving might already be a little more attractive. Of course, impetuous depends on whether you’re on the giving or receiving end of policy. Shades of Seltsy perhaps . . . it seems it would have sufficed to say something bland like ‘we have our own spheres and mutual respect’ or we’ve created a two-branch Defense Ministry with civilians occupied with this and military men with that. But instead Serdyukov comes off sounding like it’s a choice between dominating and being dominated. This entry was posted in Force Modernization, Manpower, Military Leadership, Officer Corps, Serdyukov's Reforms and tagged Anatoliy Serdyukov, New Profile. Bookmark the permalink.